Last week saw me swanning up the M1 with my roof down (glorious weather shone upon us for a whole week) to stay overnight at Coton Manor and teach the following day at the admirable Gardening School there. This is something I have been doing more or less regularly twice a year for the past five years or so, and I love it. Not only are the house and garden (and the Pasley-Tyler’ hospitality) absolutely superb, but the people who turn up to the school are a cheerful and friendly bunch, I have a fantastic time and return home totally enlivened and refreshed. As a writer, I feel that I am firing into the dark much of the time. To meet and talk to the people I write for – ordinary gardeners who just want to do what they do a bit better – gives me a real buzz. For the first time I did a PowerPoint presentation – a story of my ‘downsizing’ – using some fabulous pictures of my old garden at Ketleys taken over the years by Jonathan Buckley, plus a few of my own, and linking them via a narrative with pictures of the before, during and – no, not exactly ‘after’ , but up to the present – of my new place. 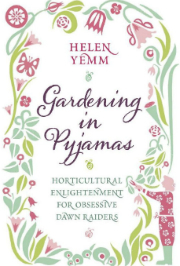 The talk is designed to illustrate how you can take your garden style with you and adapt it, without necessarily digging everything up physically and thus ruining the beloved garden you are leaving… which is so bad for the soul, I think. A last thought, nothing to do with horticulture: On my way up to Northamptonshire, I got stuck in a traffic jam and was stationary for about 10 minutes. I quickly became aware that absolutely everyone around me had turned off their engines and one can only assume that it was to save petrol. So the price of petrol has finally got to the point where it actually hurts? I have certainly now become aware that it is no longer sensible to take my car to Coton next time. It remains to be seen in I can steel myself to go by train (via London) or not. This entry was posted on Saturday, May 17th, 2008 at 1:54 pm and is filed under Musings. You can follow any responses to this entry through the RSS 2.0 feed. You can leave a response, or trackback from your own site. 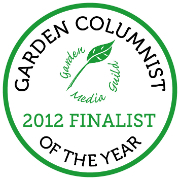 Hopefully your blog will also allow you to ‘talk’ to real gardeners, get our thoughts and views on many things. Do keep up the good work.